Celebrated religious and social historian Rodney Starktraces the extraordinary rise of Christianity through its most pivotal andcontroversial moments to offer fresh perspective on the history of the world'slargest religion. In The Triumph of Christianity, the author of God'sBattalions and The Rise of Christianity gathers and refines decadesof powerful research and discovery into one concentrated, concise, and highlyreadable volume that explores Christianity's most crucial episodes. 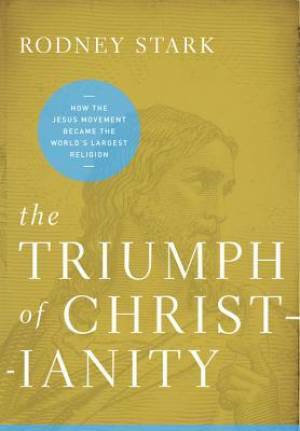 The uniqueformat of Triumph of Christianity allows Stark to avoid densechronologies and difficult back stories, bringing readers right to the heart ofChristian history's most vital controversies and enduring lessons. The Triumph of Christianity by Rodney Stark was published by HarperCollins in October 2011 and is our 69992nd best seller. The ISBN for The Triumph of Christianity is 9780062007681. Be the first to review The Triumph of Christianity! Got a question? No problem! Just click here to ask us about The Triumph of Christianity.